Glide across the calm waters of Lake Carolyn and nibble delicious desserts during a leisurely 1-hour sightseeing cruise in Irving. Numbers are limited to eight people on the shaded open-air boat, providing an intimate excursion in the bustling Dallas metropolis. 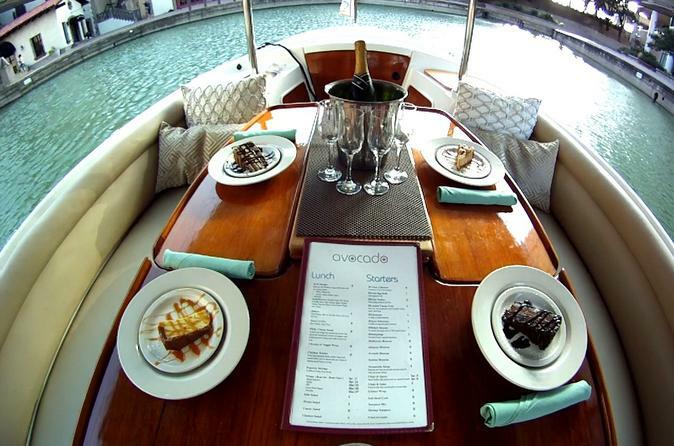 Make your own way to the dock in Irving to board your boat for your dessert cruise on Lake Carolyn. Your vessel accommodates up to eight passengers, and offers comfortable seating on a shaded deck, with unobstructed views of the canals, lake, and downtown landscape. Your captain shares informative commentary about the lake and its surroundings, along with tips on places to visit in the Dallas region. Desserts like chocolate cake or cheesecake are served during your cruise.